﻿ Best Price on Flamingo Bay Hotel & Marina in Freeport + Reviews! This island hotel and marina, in Freeport, Bahamas, is just 200 yards from Taino Beach and the Caribbean Sea. 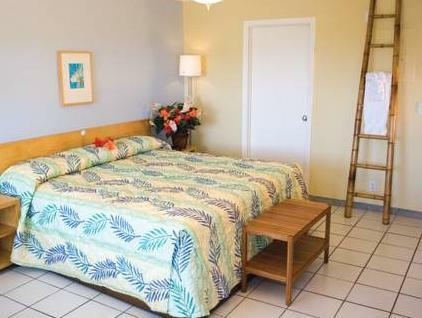 It offers free Wi-Fi access and bright rooms with cable TV. 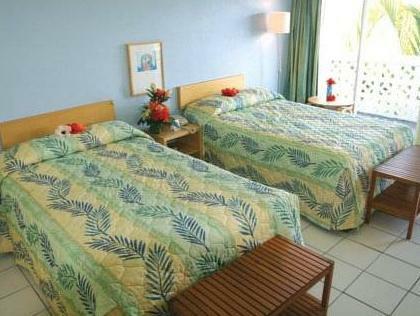 All guests have free access to the facilities at Flamingo Bay’s sister hotel, Taino Beach Resorts. Facilities include a large outdoor pool with a waterslide, lazy river and a swim up bar. The oceanfront restaurant is also open to guests. Each room has kitchen facilities which include a microwave, small fridge, toaster and dishware. They are decorated in soft cool colors and have tile floors. 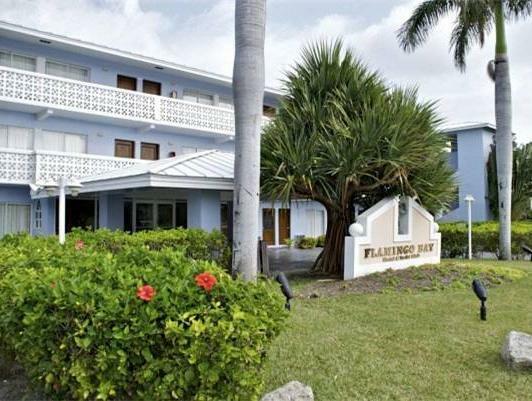 Flamingo Bay Hotel & Marina offers laundry facilities and a gift shop on site. A large water sports facility is available to guests as well. Grand Bahama International Airport is a 20-minute drive from this hotel. Garden of the Groves is 9.2 km away. You must show a valid photo ID and credit card upon check-in. Please note that all special requests cannot be guaranteed and are subject to availability upon check-in. Additional charges may apply. There must be at least one guest 21 years old or over per room. The front desk is open from 7 am until 11 pm. Guests arriving outside front desk hours are requested to inform the hotel in advance. Contact details can be found in the booking confirmation. Bootstransfer zu Lucaya Marketplace direkt hinter dem Hotel, Swimmingpool und Strand nur etwa 100-200m entfernt, Küchennische im Zimmer und kleiner Supermarkt im Hotelparterre. das hotel scheint zwar schon etwas in die jahre gekommen zu sein, aber es erfüllt mehr oder weniger alle kriterien, die man sich von einem stadthotel erwartet; bootstransfer zu lucaya marketplace (souvenirs und versch.restaurants in toller lage)direkt hinter dem hotel, zum swimmingpool und dem strand ca. 200 meter, ruhige lage, kochnische im zimmer mit kühlschrank, mikrowelle, kaffemaschine), vielkanäliger fernseher. nur zum flughafen wird´s mit dem taxi etwas teurer, ca.fahrt.